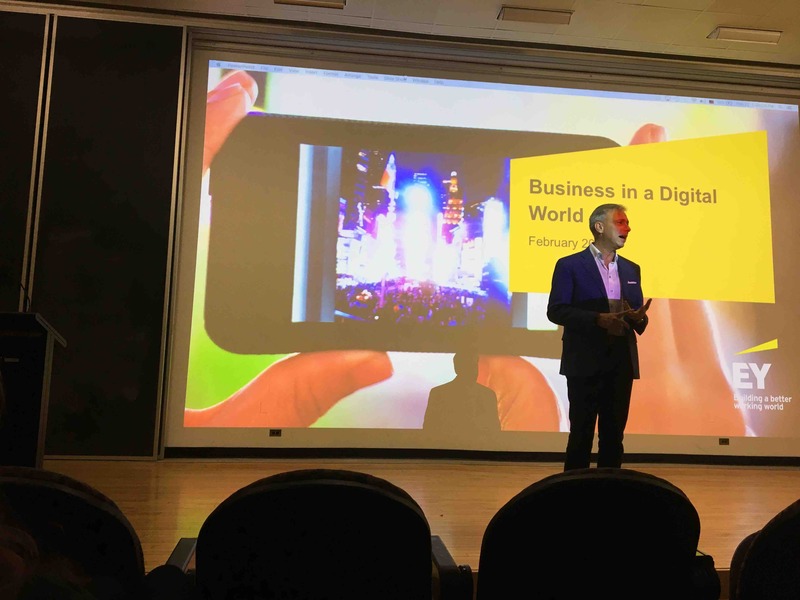 On February 22, TAMID at Brown hosted Howard Bass, a leader of the Media & Entertainment Advisory practice at EY. Mr. Bass spoke to both TAMID and community members about his involvement in the evolving media and entertainment industry, including the challenges and opportunities facing media and technology companies A nationally known expert on digital business, Mr. Bass’ specializes in online media, enhancing corporate innovation, and finding effective ways to reach target audiences. He acknowledged TAMID’s mission, sharing his experience inviting Israeli technology companies to meet with media companies in New York. He discussed the rapid pace of change within the industry and advised students from his personal experience in the industry. “Curiosity is at the heart of success,” Mr. Bass said. “Your own curiosity will determine the trajectory of your career.” Brown’s chapter looks forward to continuing to bring speakers to our campus, including CDW founder Michael Krasny, who will speak to the Brown community on March 15.